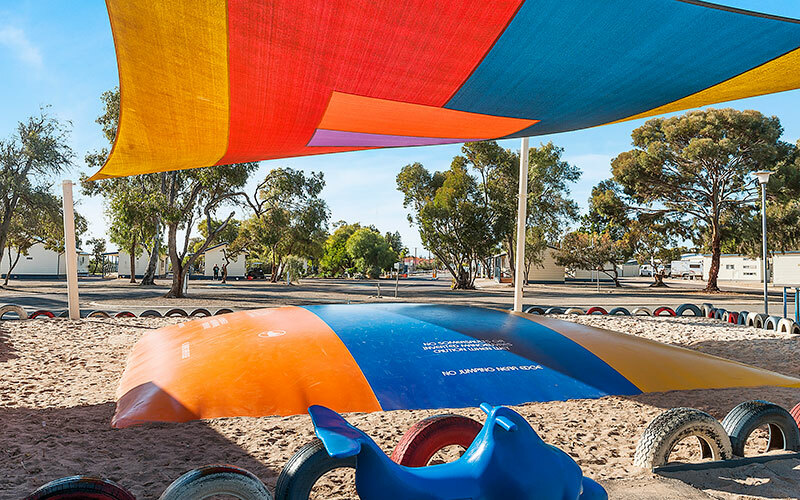 Guests return year after year to Port Broughton Tourist Park, part of the coastal playground on the Yorke Peninsula. Located only 2 hours drive from Adelaide, you can explore magnificent beaches, historic sites and national parks; discover the Southern Flinders Ranges, Clare Valley wineries and the Copper Coast towns of Moonta Bay, Wallaroo and Kadina. Whether you’re planning a luxury vacation or budget break, booking a family holiday or romantic getaway, our powered sites and accommodation can cater for all your needs. 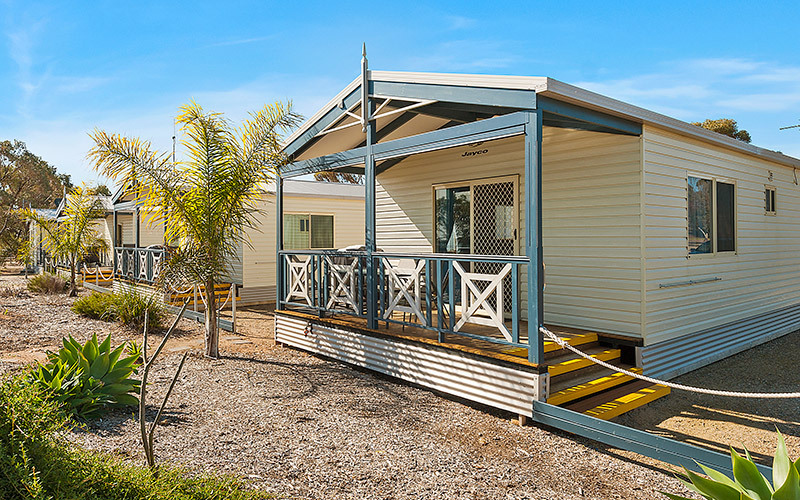 Choose from budget cabins, ensuite cabins, deluxe self-contained villas with views of the bay and sites for all-sized caravans, RV’s and tents. Families are spoilt for choice with our jumping pillow, swimming pool, toddler pool, playground, tennis courts, go-karts, and much more. 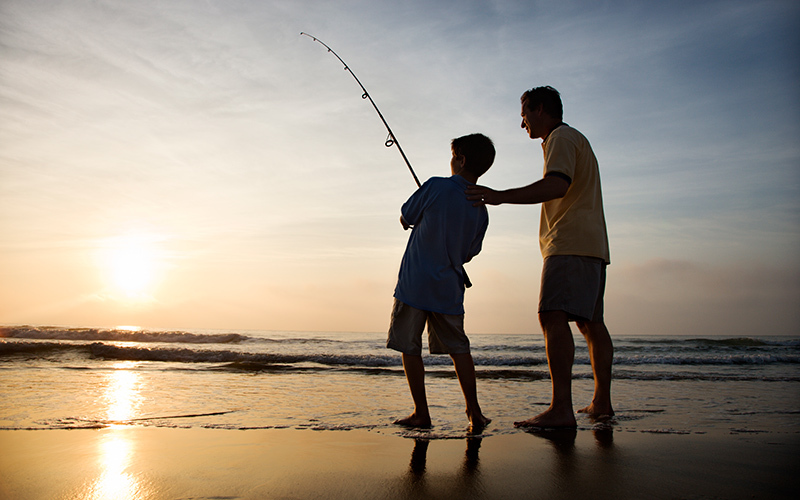 Stroll to the foreshore, wade through the shallows and drop a line for whiting. Enjoy beach volleyball, sailing, admire spectacular sunsets and relax in our peaceful surrounds. Take a short stroll to our friendly town where you can indulge in fresh local seafood. 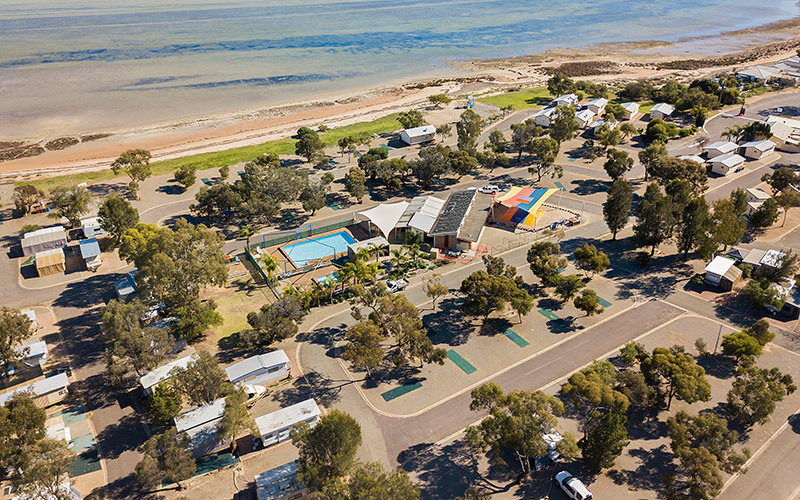 We’re right on the bay, offer free WiFi and with pet friendly sites the whole family will be enchanted by the beauty of Port Broughton Tourist Park, the perfect destination for your stay on the Yorke Peninsula, South Australia. Accommodation options catering for travellers, families and groups of all sizes and budgets. Budget cabins, ensuite cabins, spa cottages and bayview villas. Spacious powered sites, drive-thru sites and pet-friendly sites for caravans, tents, RV’s, buses and motorhomes. Swimming pool, jumping pillow, kiosk, tennis court, laundry, camp kitchen, BBQ’s, pizza ovens… we have all you need when you’re not out exploring. You’ll be spoilt for choice with fishing, crabbing, sailing, magnificent beaches, stunning views, historic sites, national parks, pubs, cafes and restaurants. Where will you go first? 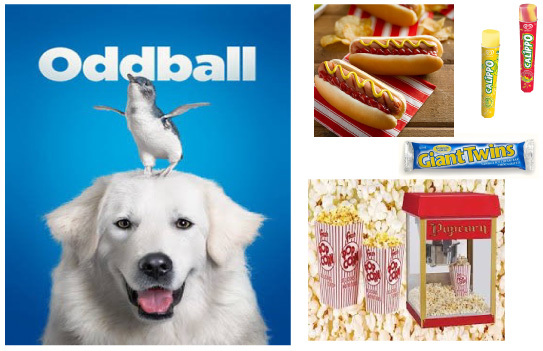 Join our mailing list to receive the latest news, updates and special offers from the park.